Can President Biya Still Redeem his Tenure? The system has always remained consistent with CNU traditional beliefs and Machiavellian political practices, authoritarian decision-making and refusal to delegate power and entertain dissident voices. The odium, persecution, and other forms of primordial prejudice of the last twenty-three years should not find a bazaar ground on the nation’s open sore. We have to quickly resolve all our domestic contradictions in order to concentrate our energy on coping with the challenges ahead. Whether we like it or not our choice of leadership must not be based on who is acceptable to our deviant mode of sexual conduct; in our fraternal polyandry or sorority; in our tribe; or who can preserve our privileges. There has been a serious dereliction of responsibility on the part of his leadership. He has privatized the state and handed it over to his Essingan kinsmen and the Khalifas of the North. This has led to a manifestation of a most perverted form of governance that flourishes under conditions of social injustice, economic inequality and political opportunism. The fettered past has taken its toll on a Presidency that is afraid to face the facts. He has transformed himself into a Presidential Deity- courtesy of the puppet-masters at the Quaid’ Orsay. Mr. Biya imagines, like Appolo of Delphi, that Cameroon history can turn at his beckoning. 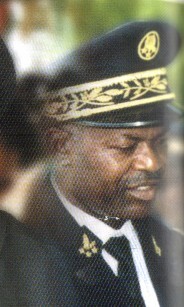 The totalitarian temptations or tendencies of the “new” Deal government of President Paul Biya and its consequent paradoxical resemblances to the “Volk” of Hitlerian Nazi Germany and the “Popolo” of IL Duce Benito Mussolini’s Fascist Italy were, more ominously, adumbrated on October 12, 2005, during the conferment of the honoris causa in Political Science of the University of Buea on the Rt. Hon. Don McKinnon, Secretary General of the Commonwealth. The foundation of which the Cameroonian Federation was built in Foumban, in 1961, was a power arrangement contoured to deal with a sociologically complex polity as presented by our multi-ethnic, linguistic and cultural diversities. 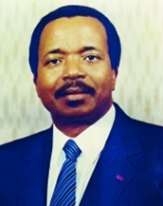 It was a type of national integration that recognized the two separate but equal parts and the central government, in Ahmadou Ahidjo’s Yaounde, as mutually coordinate, and not subordinate one to the other. The sort of politicized tribalism that you practised during your long and ruinous stay on the Buea Campus (1988 – 2005) remains the greatest threat to national peace and stability. After a most demonic ruse: The Price I am being forced to pay for initiating dialogue during the university of Buea upheavals in May/June 2005. 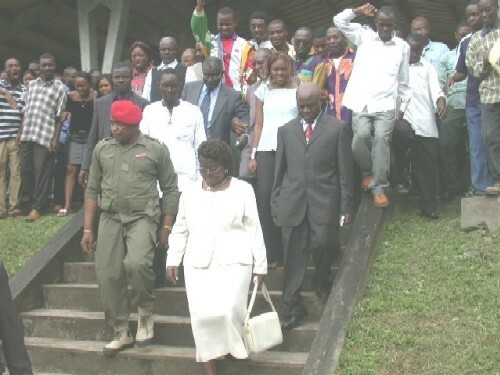 I was a member of a group of senior academic staff of the University of Buea, designated, by the four-man delegation led by former Minister of Higher Education, H.E David Abouem a Tchoyi, to inspect and evaluate the situation in the University of Buea students’ uprising.